East of Eden, John Steinbeck’s 1952 novel, is on stage at Chicago’s legendary Steppenwolf Theater through November 15. I remember reading the book as a teenager growing up in Boston and being pleasantly surprised to find that it featured a Chinese-American character named Lee. Chinese people began migrating to the U.S. in the 1800s, but Lee was one of the only Chinese-American characters I ever encountered in classic American literature. In Steinbeck’s epic 600-page novel, he’s a prominent character and the book’s moral and intellectual linchpin. He also happens to embody cultural and linguistic code switching. 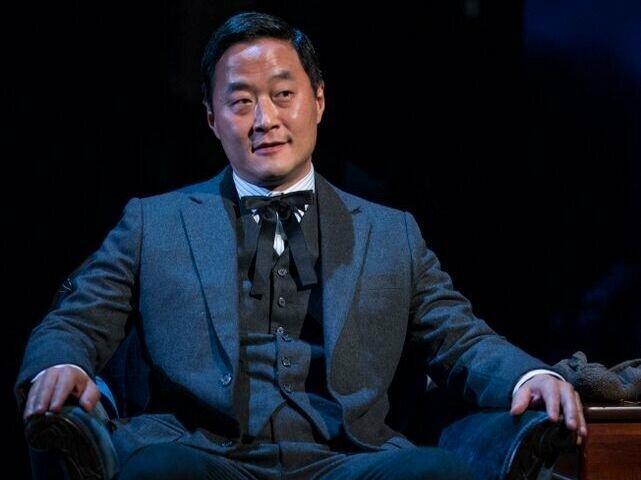 Stephen Park in Steppenwolf Theatre’s production of East of Eden. In the early 20th century, Lee works as a servant for Adam, the wealthy owner of a California farm. He is like a parent to Adam’s two sons, whose mother has abandoned them. At first, Lee speaks broken English around the family and acts cartoonishly subservient. He actually speaks perfect English, attended the University of California, taught himself Hebrew, and secretly dreams of opening a book store. Lee was special to me on a personal level. In the 1980s and 1990s there were hardly any Asian-American characters on American TV shows, in movies or books. In Steinbeck’s classic was this hidden gem: Lee, an important Chinese-American character who talked about race, Asian stereotypes and cultural preconceptions long before these topics were mainstream. 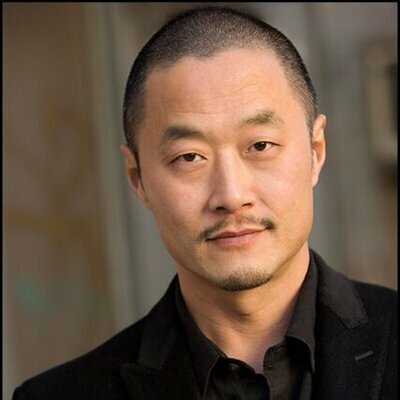 Stephen Park, the Korean-American actor who plays Lee in Steppenwolf’s adaptation, has appeared in plays, movies, and TV shows including Snowpiercer, Fargo and In Living Color, where he was a cast member. I spoke to Stephen about taking on this role, finding work as an Asian-American actor, and more. What was it like to play Lee? It resonated a lot for me because it was very much like my own experience. I grew up in upstate New York mostly around white people so the feeling of alienation is something I’m very familiar with. This idea of Lee speaking perfect English but people not understanding him when he spoke perfect English, that he had to speak pidgin for people to understand him. Growing up I would hear all the time, “Oh my God, your English is so good.” So I understood Lee on a very personal level, what he had to go through. There were a lot of parallels with me personally and as an actor. What do you think of the concept of code switching in East of Eden? It’s survival. I love the relationship between Sam Hamilton and Lee, and the fact that Sam is such a perceptive man, able to see through Lee’s disguise right away. His open-heartedness is conveyed so that Lee feels safe enough to open up and show his true self to Sam Hamilton and eventually to Adam. That was explored during the rehearsal process, the way Adam and Lee’s relationship became almost like a marriage. Do you have any memories of code switching in your life? I remember having an experience when I was a young kid passing by a mirror and then being shocked when I was reminded, “Oh, I’m Asian.” I was surprised because I just felt like everyone else. I dealt with racism constantly as a kid, like hearing ‘ching-chong’ through high school. It was something very common that always really traumatized me through my whole childhood up in upstate New York and being one of the only Asians in the area. How did that affect your desire to be an actor? In the beginning of my career, it fuelled my desire. A lot of the Asian-American actors in my generation wanted to prove something or fill the void, to be a face out there that was absent in the media or on the stage. I think that drive is still there. You still havemajor theaters doing yellowface. So there’s still quite a ways to go. Now, in this country we’re at a crisis point in terms of race relations. I don’t know where we’re going from here but it seems we need to address this in a more intelligent and effective way. Do you think there was a risk of Lee being culturally stereotyped in the play? How did you avoid that? Lee is one of the most complex characters I’ve played. The fact that he’s a servant and that he speaks pidgin, at first glance it’s off-putting, like, “Do I want to do this?” But when you realize who Lee is and how complex and brilliant he is, it made him a very exciting character to play. I didn’t want to make Lee fall into the trap of being the “wise Oriental.” Then it became a process of “How do I make him real?” It was about getting as detailed as possible about his back story. I started to feel like I better do this right. I didn’t want to screw this up, which was why I was trying to find academics to help me out with the research. How is the play different from the book? In the book, the outright racism is more pronounced, but in the play it’s a little more subtle. Both Frank [Galati, who wrote the adaptation] and Terry [Kinney, the play’s director] felt, “When is the right moment to throw it in there?” So it’s when the nurse says, “I’m not in the habit of taking orders from Chinks.” That always gets a huge reaction from the audience and it was kind of well-placed. If the racism was as intense as it was in the book, it would take the audience out of the play. How did Terry Kinney [director and Steppenwolf co-founder] guide you as Lee? His general direction to all of us was “Be you. I just want you.” He really wanted all the actors to be themselves. I took that to heart. At the beginning, I was just trying to find all the physicality of Lee and my speaking was more formal. I had him speaking like in the book — stiff. Then all of that got more and more relaxed and then it just became me speaking. What do you think about the roles for Asian-Americans actors these days? We have a long way to go. We were just talking about these two TV shows [Dr. Kenand Fresh Off the Boat] that are on the air right now — that’s great. I hope they don’t suddenly get canceled, and another 20 years go by. But I don’t think I could survive as an actor in Chicago. New York or Los Angeles are the only places I could make a living as an Asian-American actor. And even though I’m living in LA, it’s an ongoing struggle, like, “Where’s my next job going to come from?” Every time it seems like we’re making progress, there seems to be a regression. Amy Yee is an award-winning journalist based between the U.S. and India. Her work has appeared in the New York Times, The Economist, The Guardian, Wall Street Journal and many other publications. She is a former correspondent for the Financial Times. Follow her on Twitter at @amyyeewrites.